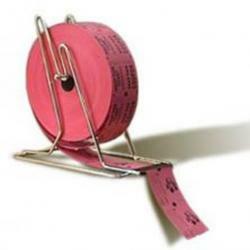 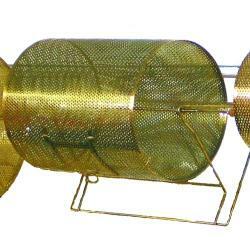 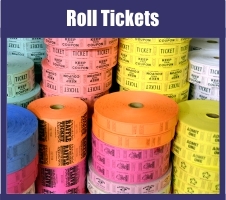 Main Category: Wholesale Raffle Drums & Supplies | Material: Brass Plated | Hayes Specialties Corp. 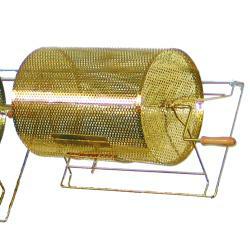 This brass plated Raffle Drum holds more than 15,000 roll tickets. 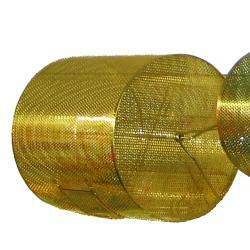 It is made so that a small padlock can keep the access door secure. 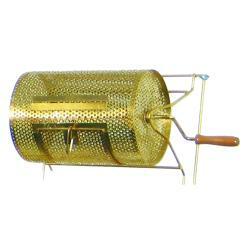 (Padlock not included) Each raffle drum comes with rubber feet and a wooden handle.